Wishing all my readers a very Happy Independence Day. 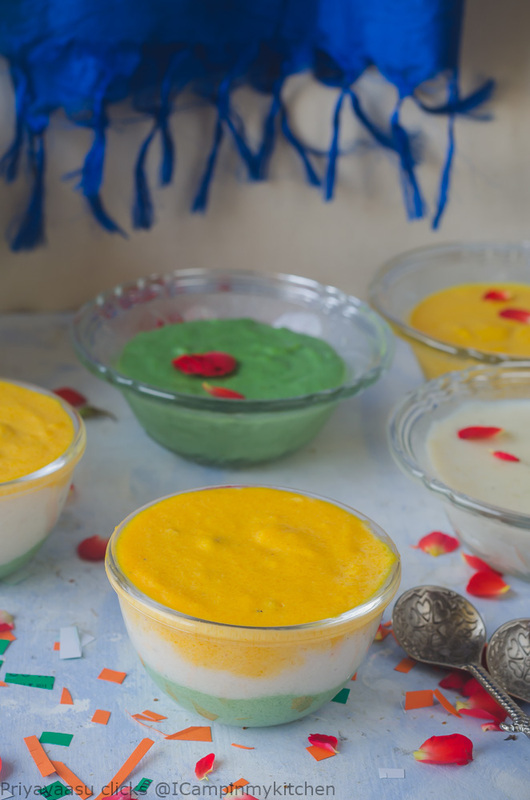 For the first time in my blogging years , I m posting a tricolor dessert for this occasion. Thanks to few blogger friends and you-tubers, if not for them, I would have never attempted to post one. I m in the final leg of my annual vacation, sitting at MTR Singapore, I m drafting this post. Some might not understand this feel, but any passionate food person can connect with this. Though i finished cooking, clicking and the video a week before, drafting the post alone, i kept it for last. 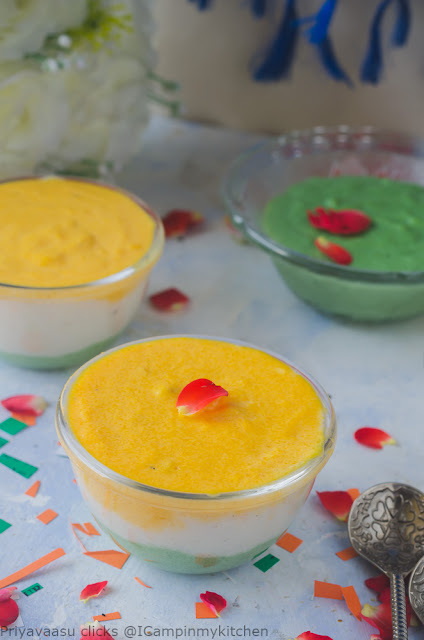 About today's post, a tricolor poha pudding, Simple to make Dessert with veggies for the coloring. 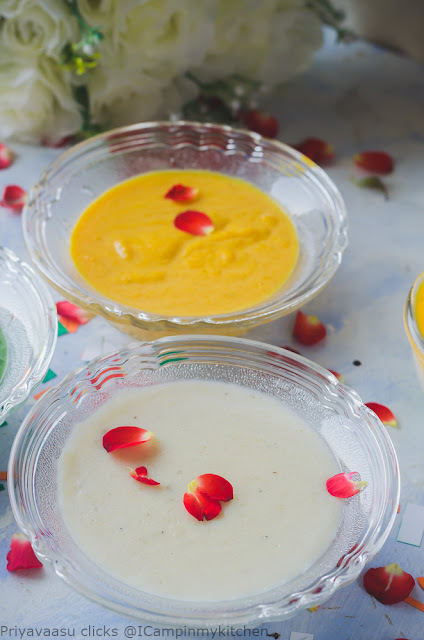 I have added a drop of food color to the kheer , but this can be completely avoided. This kheer, is one of the best way to make your lil ones eat veggies, if they are fuzzy eaters, particularly of carrots and green peas. I served this pudding for a get together last week and none could identify that, the green layer is made of peas. Just make sure, you cook the peas for few minutes before you purée them. A beautiful dessert that tastes amazing and makes a great attraction to your dinner table too. Let it cool, add cardamom to it and grind it to a fine powder. Keep aside until use. In a heavy bottom pan, heat milk, once it starts to boil, reduce the flame and add the powdered poha. Mix well and let this cook for 8-10 minutes for the poha to cook well. Once the poha cooks, add condensed milk , mix well and let this sit on the flame for another 8-10 minutes for the Khmer to thicken. 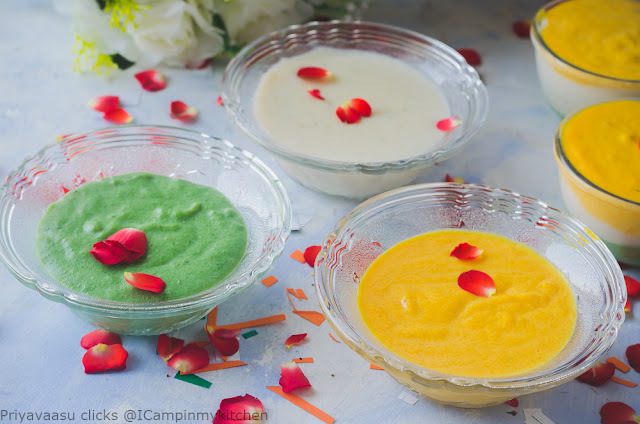 Once done, remove the Kheer from stove, and divide it into 3 equal portions. Let us make the orange layer. 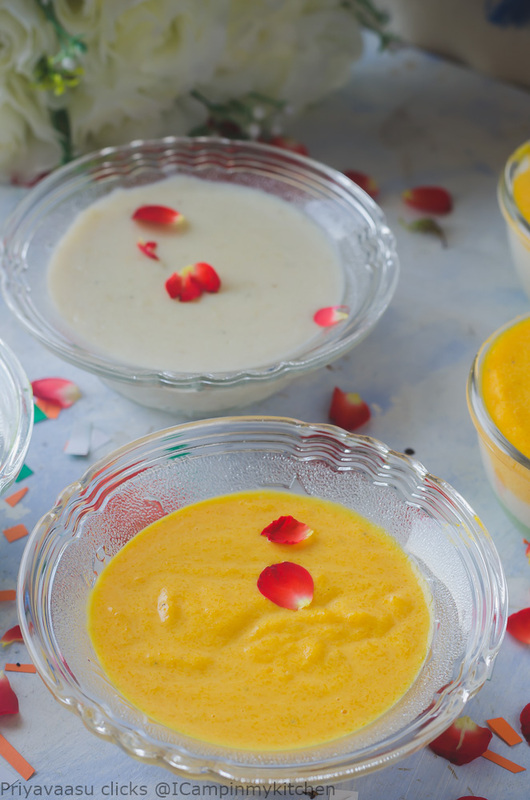 Take chopped carrots in a a microwave-safe bowl, add milk and saffron to it. Microwave cook it at power 80 for 3-4 minutes. Remove and let it cool, grind it to a fine paste in a mixer. Add 2 drops of orange food color and mix well.Take and keep aside until use. Heat ghee in a wide pan, once hot add the carrot-saffron purée to its d sauté for 2 minutes. Now add one portion of poha kheer, to this and mix well. Let this sit on the stove for another 8-10 minutes for the flavors to mingle well.Take it off the stove, let it sit aside until use. Take peas and pistachios in a microwave safe bowl, add 1/4cup of water. Microwave cook it at power 80 for 4- minutes. Remove and let t cool completely. 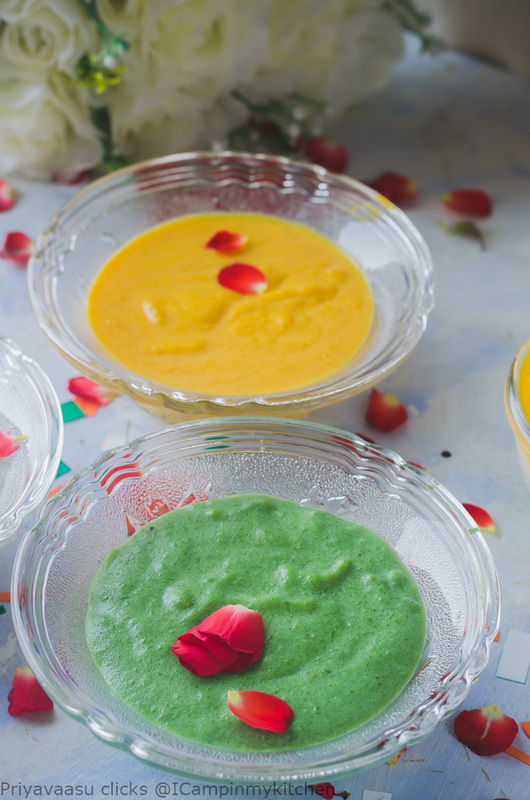 Drain the excess water from it and grind it to a fine paste in a mixer.Transfer it to a a bowl and add green food color to it and mix well. Now in a flat pan, heat ghee, once it melts, add the peas-pistachios purée to it and sauté for 8-10minutes. Keep the flame summer and sauté. Do not hurry this step as the peas might taste raw if not sautéed well. After the raw smell disappears, add the second portion of the kheer to the green mixture and mix well. Let this be on he stove for another 8-10 minutes for the flavors to mingle well. Once done, and the kheer thickens a bit, remove it from the stove and let it cool. In a small dessert bowl, first add 1/4 cup of green layer,Followed by 1/4 cup of white Kherson, and top it with orange layer. 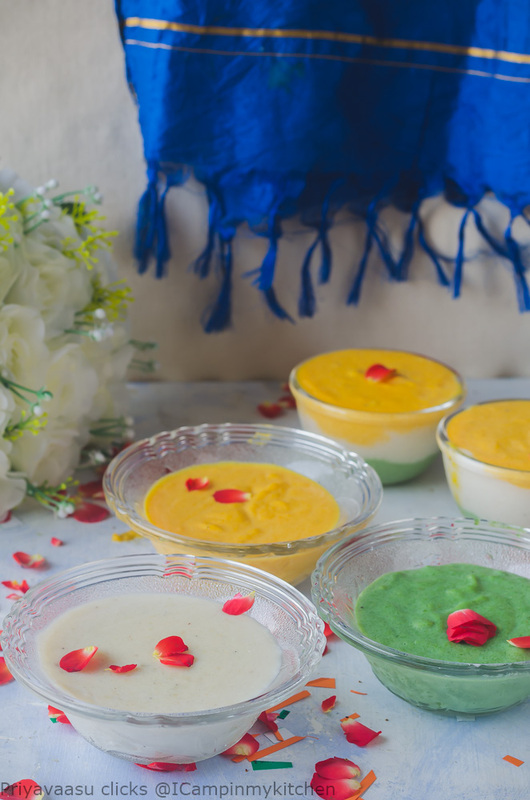 Let the dessert sit in the refrigerator for atleast an hour for a beautifully set dessert.It can also be served warm after immediately arranging the layers. 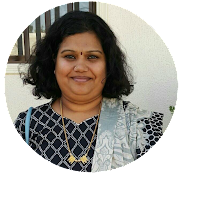 I m hosting August month's kids delight, an event hosted by Srivalli. The theme for this month's kids delight is hide and seek with veggies. As a mother and a food blogger how much ever tasty and healthy I cook, there are certain veggies that my kids don't like and how much ever I cajole them, they are not ready to taste it. So the best thing I do is mask it in to their favorite dishes. I know many mommies around the world do the same. So, why not help each other by sending your dishes that you hide the veggies so your kids seek the health and taste of it. Cook any kid approved dish hiding the veggies(which they hate the most 😃) and post in your blog between August 15, 2017 - September 15, 2017. Multiple entries are allowed. Mail id : enveetukitchen@gmail.com. I will accept one month old entries, provided you will update the post with the event announcement link. This is a vegetarian blog, so do not send meat recipes. Eggs are allowed in baked goods. Link to this post and Valli’s Kid’s Delight announcement post is mandatory. Kindly mark your email subject as "Kids delight - Hide and seek with veggies", it is easy for me to group the entries correctly. 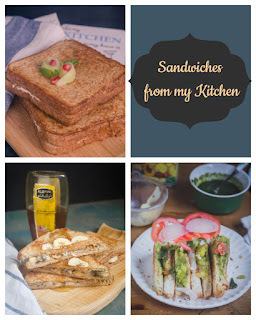 Send in your name and recipe link alone, i will take the picture from your blog. Please make sure the picture is crisp and clear. I will not accept blurred images for the round-up. Sorry for being rude. 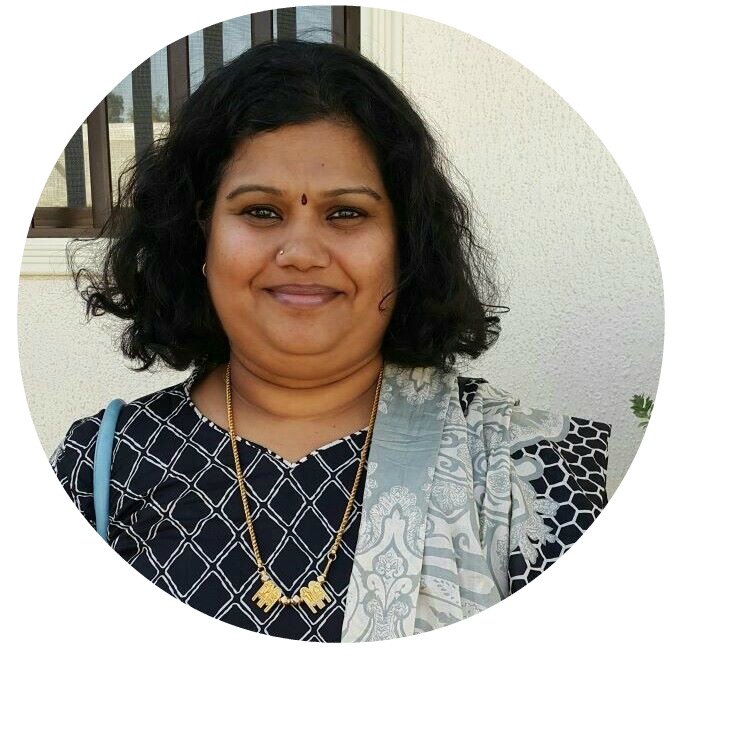 Non-bloggers are also welcome to send in your recipes, please email me your recipe along with a crisp and clean picture, i will include them in my final round-up. 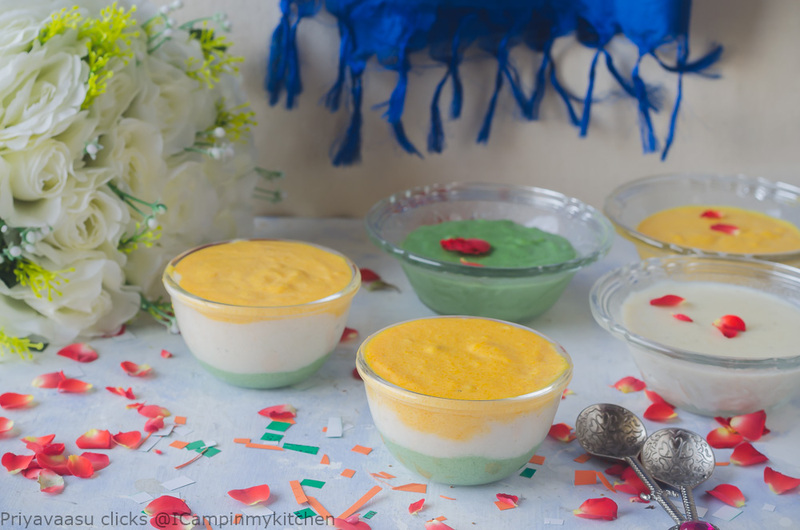 Awesome pudding with tricolour Priya, very nicely done and it fits the theme so perfectly!..thanks for hosting..
Lovely idea for a colourful pudding. A colourful treat for kids. What a pretty dessert. The flavour combinations are right down my alley! Especially the pistachio ones. Delightful. What a beautiful color in all the dishes. I love that you used, for the most part veggies for the natural coloration. I love layered desserts like this! They take extra work, but not too much and it makes things so special! I love the bright colors in this. I like that you used mostly natural colors along with the food collring. What a fun recipe! I love the colors and layers in this - I bet it was a hit with the family! We love poha of course,who doesn't right? Yours look so colorful, perfect to surprise family and friends. This pudding looks delicious. Love the bright colors! Definitely saving! The puddings are very pretty. I've never heard of poha but I'm on a quest to try new foods I've never tried before. I really like that you used natural coloring. Very pretty. Happy Independence Day! I love how you used veggies to get the colors--it came out very cool looking!